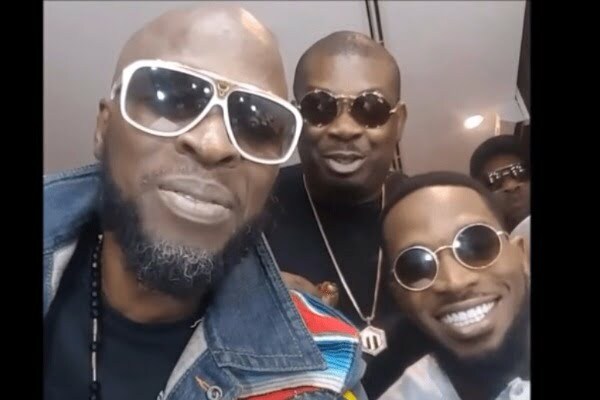 Davido on Wednesday night reunited the Mo’Hits crew – one of Nigeria’s most favourite boy band at his 30 Billion Concert. The singer had earlier announced that he will be offering a surprise at his show. Davido and Wizkid had also earlier settled their rift on stage while performing ‘Fia’ at Wizkid concert. According to Davido, it took him two months of effort to bring this moment into fruition. This is the first time the Mo’Hits crew will be performing together on stage since their split five years ago. The crew were also seen cracking jokes inside elevator outside the show.